Team Boss Charly Lamm leaves the stage in style! 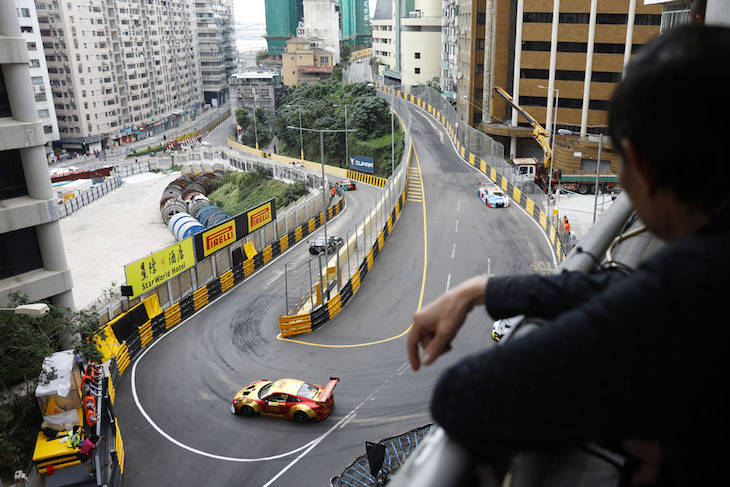 Augusto Farfus gave BMW Team Schnitzer boss Charly Lamm an ideal send off with a lights to flag victory at the FIA GT World Cup around the Guia Street Circuit in Macau on Sunday. 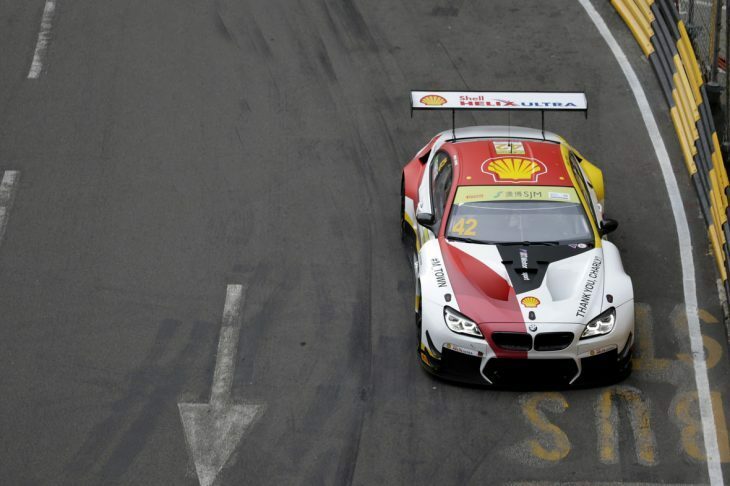 Farfus claimed pole position in a relatively processional Saturday qualifying race. The #42 BMW beating the Mercedes pack to the punch and avoiding a melee that ended the weekend for Porsche Team Manthey driver Laurens Vanthoor, the Belgian star the victim of sideways contact from Eduardo Mortara’s AMG Mercedes as the local man himself jinked right to avoid contact with Vanthoor’s team-mate and fellow Porsche Factory driver Earl Bamber. 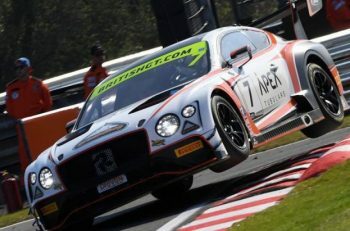 Vanthoor’s 911 GT3 R was tipped into a half spin and impacted the barriers hard on the outside, the damage enough to see the ‘Grello’ liveried car out for the remainder of the weekend. 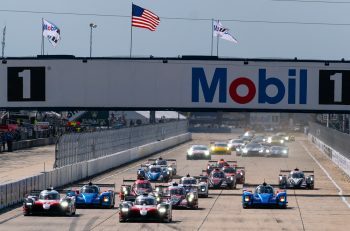 Sunday’s race saw rather less drama as the sole BMW M6 GT3 was able to again fend off the challenge from the remainder of the 14-car starting field. The early pressure came from the #999 GruppeM AMG of Raffaele Marciello but his challenge would be snuffed out by an error on Lap 5, the car into the barriers, rejoining without a caution being necessary, but dropping down to tenth and only managing to recover a single position thereafter to finish a disappointing ninth place. 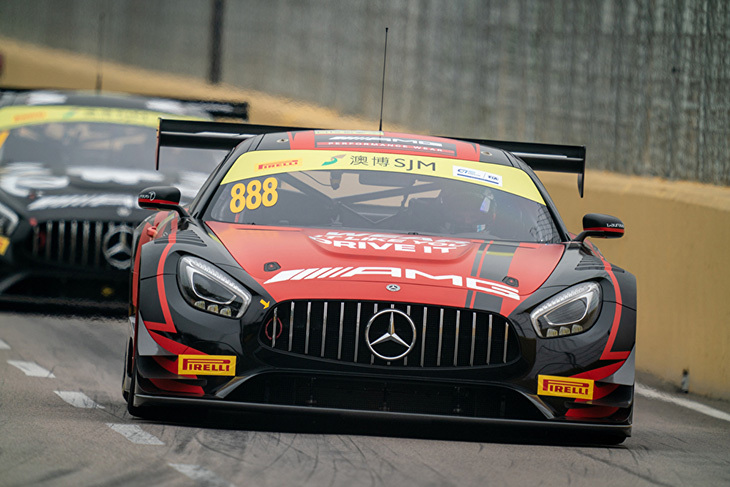 The baton then was passed to fellow AMG man Maro Engel whose #888 GruppeM car stayed glued to the rear of the BMW, though looked set to be reliant for a win on a mistake from Farfus that didn’t come for the remainder of the 18-lap encounter. 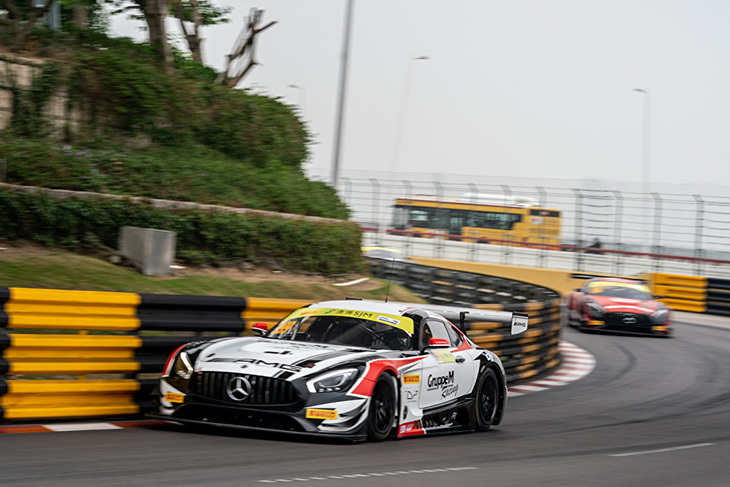 Mortara would take the final podium spot in the #1 Mercedes AMG with Bamber’s #912 Porsche and the #66 Team WRT Speedstar Audi R8 LMS GT3 completing a top five that encompassed four different marques. 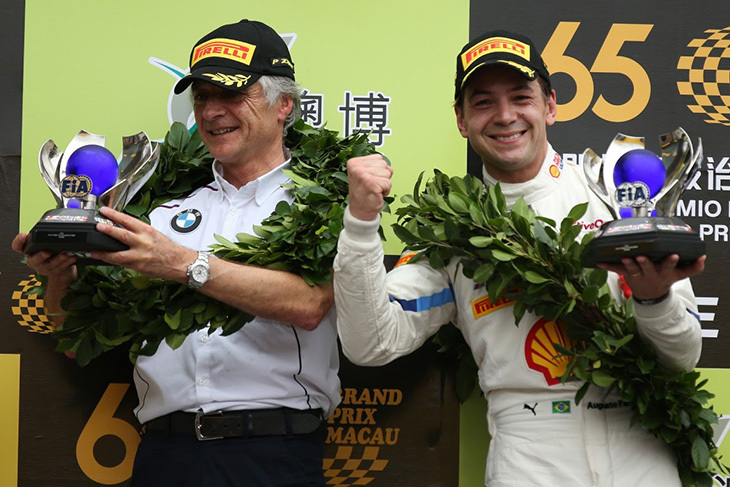 Augusto Farfus: “This is a fantastic victory. It is 29 years to the day that my dad gave me my first motorcycle and to be here now winning the FIA GT World Cup is a very special moment. It’s all the more special because Charly (Lamm) is here. “We brought a small team to Macau but everyone here for BMW Motorsport has done a fantastic job. We had a plan and I think we executed it perfectly. I think it’s the first time the GT has had a full green race as well. I knew I had the pace, I knew I had the package and that the start would be crucial for a good race. So, a lot of effort when into turn one; I wanted to keep the lead and that was pretty much it. I was just committed, fully committed to keeping my car on the track. In the last sector I got a good run on to the straight and we made it! Maro Engel: “I tried absolutely everything, pushing really hard and putting him under pressure, obviously I was closing in up the mountain a lot. Pushing like hell there, but I just couldn’t get close enough anywhere you could overtake; on the mountain it’s obviously difficult.